Welcoming a new addition to your family is one of life’s amazing moments, but all those details can get stressful. Let our Labor and Delivery Department take care of you and your new family member! not for the hospital. Let us help you tailor an experience that fits your needs and wishes. 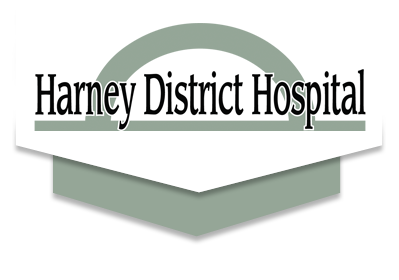 Take a moment to look over the resources available at Harney District Hospital. From pre-natal care to well-child visits, you won’t find a more personal, caring environment to welcome your new baby into the world. Finding a doctor you trust and feel comfortable with is extremely important for Labor and Delivery patients. After all, what is more important than your baby’s health? And you’ll be seeing a lot of them – up to once a week as you get close to delivery! Harney District Hospital is happy to have Dr. Larissa Thomas, and Dr. Heidi Vanyo available to provide prenatal, labor and delivery, and well-child care. Our spacious and comfortable Labor and Delivery suites feature private baths with whirlpool tubs. In addition, the rooms are furnished with TVs and stereo systems, spacious cabinetry and plenty of room for visitors! You can bring movies, music and all the comforts of home. please contact your primary care provider at HDH Family Care today.